Every day, you'll find an expansive selection of dessert pastries on display inside our showcase. 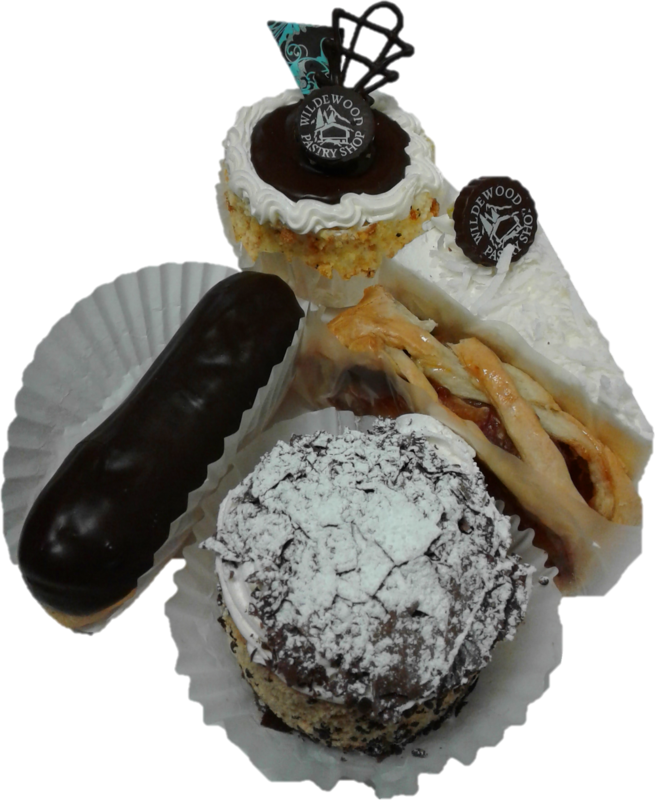 Cake slices, apple strudel, cannoli, cupcakes, chocolate-dipped eclairs, cake pops and brownie pops -- there's something for everyone. Drop by and pick up your favorite treat, or choose an assortment and take a box home! Daily quantities of individual pastries are limited. For large orders, please give advance notice. We also provide standard and custom cupcakes on special order! Please call in advance for these options. For quotes on custom cupcake designs, please provide an image reference.